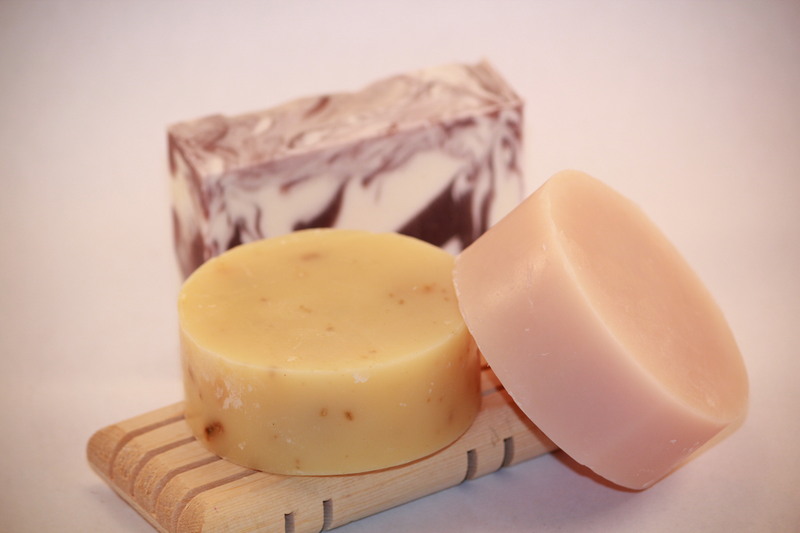 So, the question is…Which is better round soap or square ? I make soap in both round bars and square bars. I personally prefer the round bar of soap. It fits perfectly in the palm of my hand. When I use it in the shower, the bar lasts a really long time. Also, when the bar of soap is almost gone, it doesn’t bend or break into a bunch of pieces that go to waste. It just keeps getting smaller and smaller until it’s a small thin circle of soap and then it’s gone. 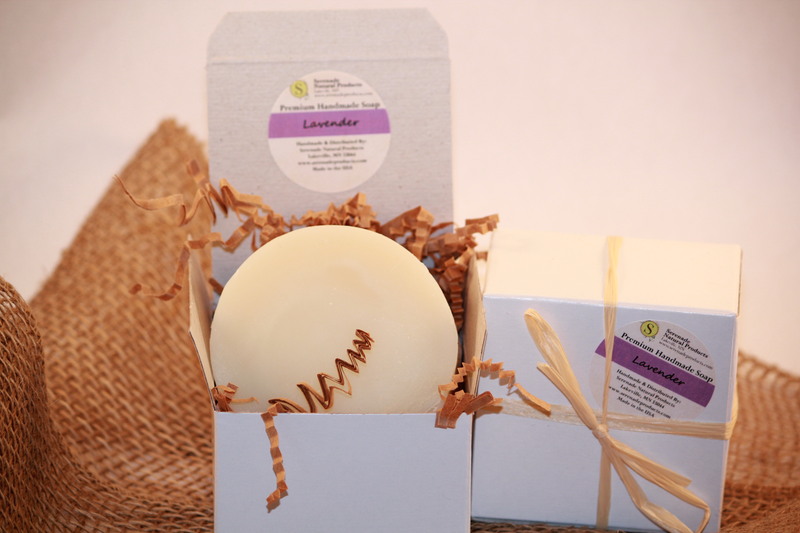 I take extra steps when making round soap so they are still just as pretty as square bars. I swirl and color the round soap with many all natural colorants including turmeric, paprika, annatto seeds, french green clay, indigo powder, madder root and many more. My round bars of soap are just as many ounces as my square bars. But, there is the issue of packaging. How do you wrap a round bar of soap? I package mine in a little white gift box. When I’m out selling, I leave one box open so everyone can sample, smell, and see the soap. 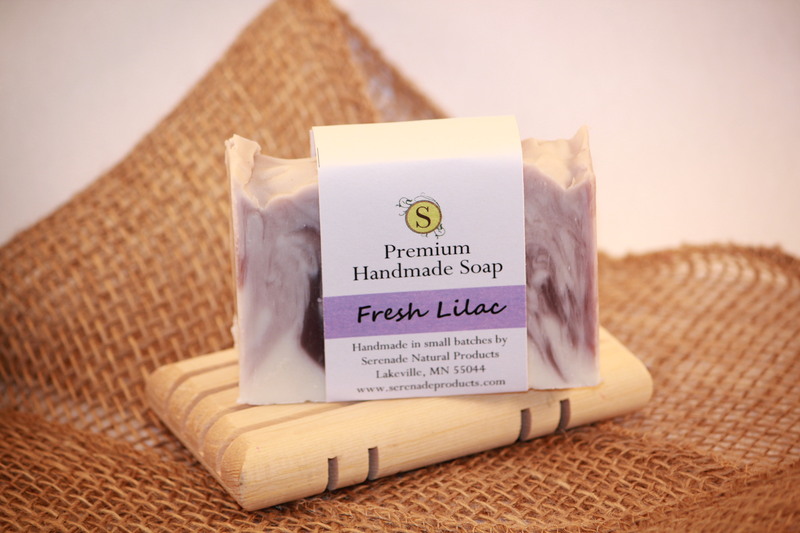 The square or rectangular bar of soap has lots of benefits too. Traditionally, most cold process soap makers use this shape for their soaps. I make some of my soaps in rectangular bars. It is definitely easier to add swirls, layering and embellishments on the top of the soap. Some of these techniques are impossible with round soap molds. Packaging and display is easier too. I like to add a decorative paper band to my rectangular soaps. It’s easy to see exactly what you’re getting and it’s open, so you can sample, smell and see the soap. This entry was posted in Handmade Soap and tagged cold process soap, handmade soap, natural colorants, natural soap, olive oil soap, round soap, soap molds. Bookmark the permalink.